The DICE Awards were held yesterday in Las Vegas, with some of last year’s best games being honoured in a ceremony that’s the closest thing the video game industry has to Hollywood’s Academy Awards. Five games were competing for the Game of the Year award in the evening, but it was Nintendo who took home the prestigious award, as The Legend of Zelda: Breath of the Wild came out the winner. This is an epic role-playing game taking place in a fantasy world, and its been lauded by reviewers worldwide as the best open-world video game since Bethesda’s Skyrim came out in 2011. Breath of the Wild is the second Zelda game to win the top award at DICE, after Zelda: Ocarina of Time, which also won the award back in 1998. The Legend of Zelda: Breath of the Wild also won the Adventure Game of the Year, Outstanding Achievement in Game Design and Outstanding Achievement in Game Direction awards. Other games competing for the Game of the Year award were Horizon: Zero Dawn, PlayerUnknown’s Battlegrounds, Super Mario Odyssey and Cuphead. The latter was the winner of three awards at DICE 2018, and so did Horizon: Zero Dawn, the most nominated game going into this year’s ceremony (Guerrilla Games’ title was competing for ten awards at DICE 2018). 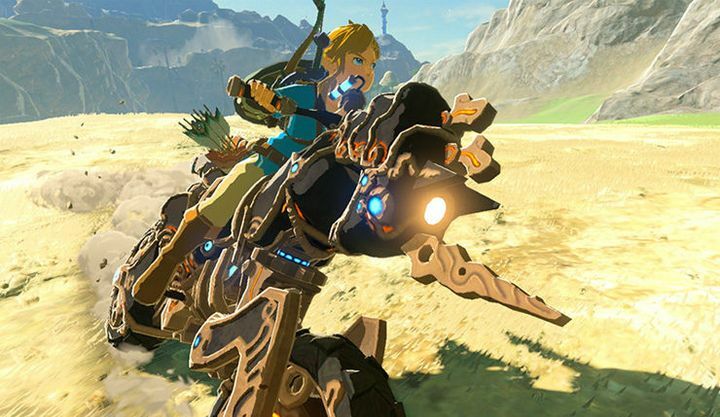 Aside from picking up the Game of the Year award with The Legend of Zelda: Breath of the Wild, two other Nintendo games were winners in the night: Mario Kart 8 won the Racing Game of the Year award as many expected, and Fire Emblem Heroes was honoured with the Mobile Game of the Year award. And despite the fact that indie games such as Cuphead picked up their share of awards at DICE 2018, it was heavyweights like FIFA 18 (which won the Sports Game of the Year award) and Mario + Rabbids Kingdom Battle (which won the Strategy / Simulation Game of the Year award) which won the most awards at this year’s ceremony. But still, it’s great to see 2017’s best games getting the recognition they deserve online and off, and here’s hoping that there are even better games in store for video game fans worldwide in 2018. See below for a full list of nominees and winners from this year’s DICE ceremony.